In as much as I want slam and slam hard, I also want to do a lot of other things beyond that. It was the second form of art that I was exposed to and in growing up and developing myself further, it would have been a shame to leave it behind…and besides, I think I was pressured to continue writing unconsciously by people who kept telling me that I was good, so…because I wanted to continue being good, I continued writing. 2. Tell us about your name, how it came about and if it makes up part of the game plan for conquering a stage? 3. Do you intend on fighting it out all year on the league or was that a one hit wonder? Yes, I do. If I can, I want to be number 1 every time. But unfortunately, we cannot see the future and things may arise which may prompt me not to participate in some months. Ideally, I do want to compete for the whole year. 4. First time on the Word N Sound stage and you kill it! How do you feel? Do you think you can meet the expectations of your newly found fans? I don’t know how I feel, really. But I can say that it is an absolute pleasure to have people come to me and say how the piece I performed touched them and I think that may have been the key to my winning, the content was relevant to a lot of people. Expectations? Like I said, I want to be successful every month, so I already have my own expectations which are pretty high and if anybody expects more than that from me, then they are asking for my blood. hahaha. But honestly, I am just hoping not to disappoint myself, the panel and the people. 5. If anything, what scares you most about the world of slamming? Not growing/going further than slamming. In as much as I want slam and slam hard, I also want to do a lot of other things beyond that. So what scares me is being stuck in one place and fall in love with the competition. 1. Does your anthropology degree have an influence on your approach to photography? If so how? Anthropology is the study of cultures, so I think it works very well with photography. I’m naturally curious and I love bullshitting and meeting people, so photography is a perfect medium for me. I like being out in the world. Anthropology taught me to look at things critically, to look for what was beneath the surface. People are interesting enough to me on their own, so I never felt the need to embellish what was already in front of me. I think I’m a documentarian by nature. Even when shooting portraits, I try to shoot more of what I see as opposed to creating a false environment. I personally think it’s more interesting that way. 2. You’ve shot everything from prisoners in Angola to kids in the streets of Cuba and hip hop celebrities. Which photoshoot stands out the most for you? I can’t point to one that stands out the most. They’re all part of my life, so I take different things from each experience. They’re all different, but the one constant is me. My photos taken together are the story of my life. 3. Of the hip hop artists you’ve captured which one was the trickiest to capture… And which one was the most fun to work with? Banner. Biz. There are a lot, but those four stand out. 4. If you weren’t a photographer what profession would you persue? 5. 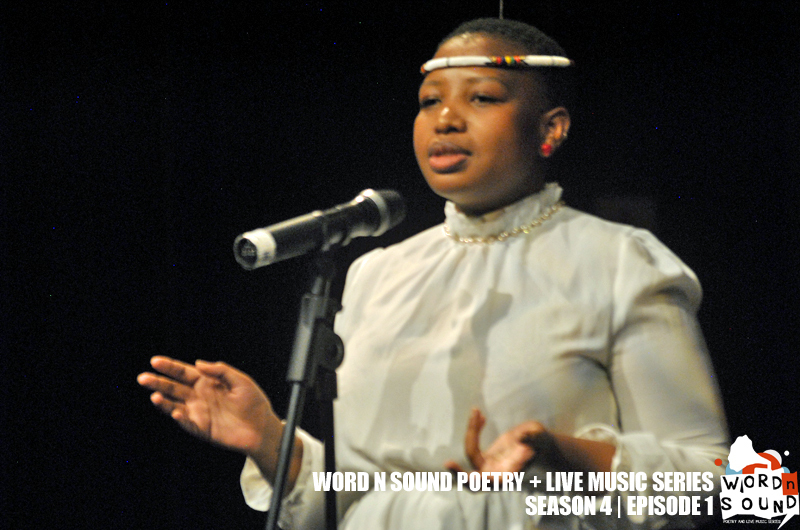 You’re set to exhibit on the upcoming Word N Sound Series on 1 March. What can the audience expect to see on the day? True Hip-Hop author, Mike Schreiber talks about how he feels about hip-hop with panelists: Rodney Carmichael, Fahamu Pecou and Dr. Joyce Wilson. Also, a Hip-Hop Photographer, Mike has produced images for some of the best in the music business. 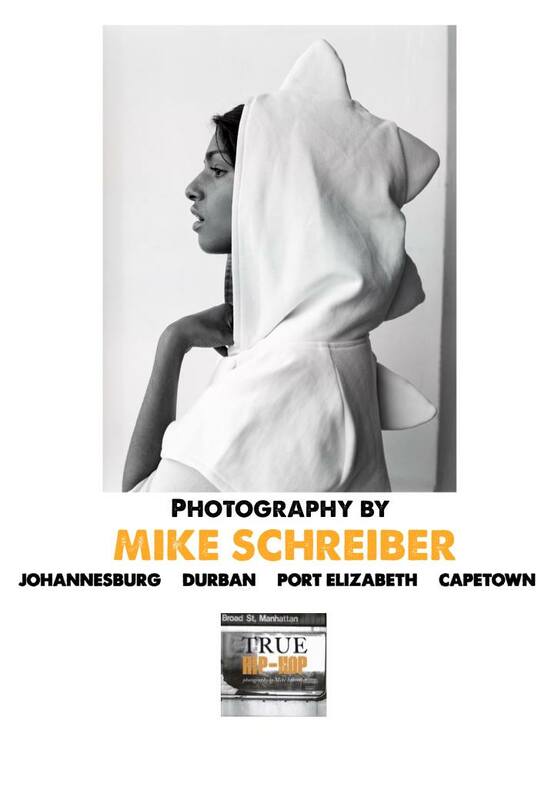 Catch Mike Schrieber’s digital photo exhibition on the Word N Sound stage this Saturday, 1 March, at the Market Theatre Laboratory, 3 President Street Newtown. Visit the official event page here. 1. You’ve been likened to Saul Williams based on your content and style of delivery…Did you ever listen to Saul or how do you feel about being likened to him? London who gave me that title of ‘young Saul’ when he was visiting Melbourne. 2. What is one word you’ve struggled to use in your pieces and are still waiting for the write instance/piece in which to use it? I’ve been working on a piece about the word ‘paradox’ in my head for about a year. It’ll come when it’s ready. 3. You run workshops on poetry performances and writing…What is one prevalent problem faced by up and coming writers/poets when it comes to this genre of art? others, but everyone’s voice is different, so each person can set up their own style and therefore roll with their own rules. 4. Name 3 of your favourite authors? Khalil Gibran would be number one because he is really who made me believe in poetry as a tool to help change, heal and grow as a human being. Nikos Kazantsakis, a Greek author, who hails from my homeland. My grandparents and parents migrated from Greece to Australia in the 1940s and Kazantsakis was one of the most famous and politically aware authors of his day. His last book ‘Zorba the Greek’ reads like poetry. The third would be Herodotus, the ancient Greek historian who inspired me to put together my debut book of poetry ‘The Future Ancients’. 5. 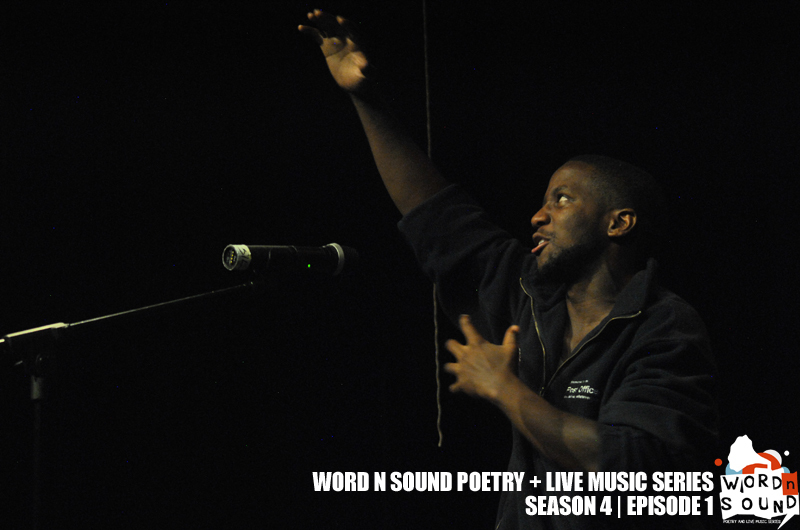 What can the Word N Sound audience expect from your upcoming performance on the 1st of March? Catch Luka Lesson live on the Word N Sound stage this Saturday, 1 March, at the Market Theatre Laboratory, 3 President Street Newtown. In May 2013, Afurakan performed a completely improvised set with a band he had never met. The band members had also only met on the day of their performance. What is Tongue Fu and when did you first come across the format? Tongue Fu is an exciting spoken word and live music format where poets are challenged to improvise a performance set with a band that they have never worked or rehearsed with before. What also makes it interesting is that the band itself has never worked together before thus adding a level of unpredictability to both the music and the spoken word performances. I first came across the event in London in 2013 during a work related visit and also got an opportunity to perform at the event. What made you decide to follow the format for your showcase last year? I like the energy and the unpredictability of the format. As a poet you are forced to think on your feet and work hand in hand with the band. You also have to be able to work with any kind of music and have versatile poem up your sleeve. Did you enjoy your showcase? What was the most difficult thing about it? I really enjoyed my showcase and the most difficult thing was keeping up with the band. Even though it’s your responsibility to direct the band, the music tends to develop a life of its own and you have to mould your performance to match the music. Tell us about the March 1 gig. How did it come about and what can artists expect? So after experiencing Tongue Fu in London I was determined to bring the format to South Africa and see if it could inspire us to think broader when it comes to live literature. After months of talks and in partnership with British Council Connect ZA we were able to secure Chris Redmond and Arthur Lea. Saturday promises to be an unforgettable experience as seasoned poets and musicians are thrown on one stage and asked to create magic. I can’t wait. A little birdie told us about Afurakan and the Elastic Band. What is that about and if you could build a dream Elastic Band, which musicians would you feature (local and international)? The Elastic Band is a concept I developed where the band is never the same size or people and nothing is ever rehearsed. The aim is to drive improvisation and the beauty of creating art real time. So the band can range from 1 instrumentalist to an a full orchestra depending on the event or occasion. I am still building my dream Elastic Band so check on me a few months from now. LOL! Word N Sound in partnership with British Council Connect ZA is proud to present Chris Redmond’s “Tongue Fu”; a UK based spoken word & live music experience that has taken the international scene by storm. Dubbed one of London’s liveliest and best attended spoken word experiences, Tongue Fu is a riotous experiment in live literature, music, film and improvisation; frequently surprising, sometimes hilarious, often poignant and always unrehearsed. 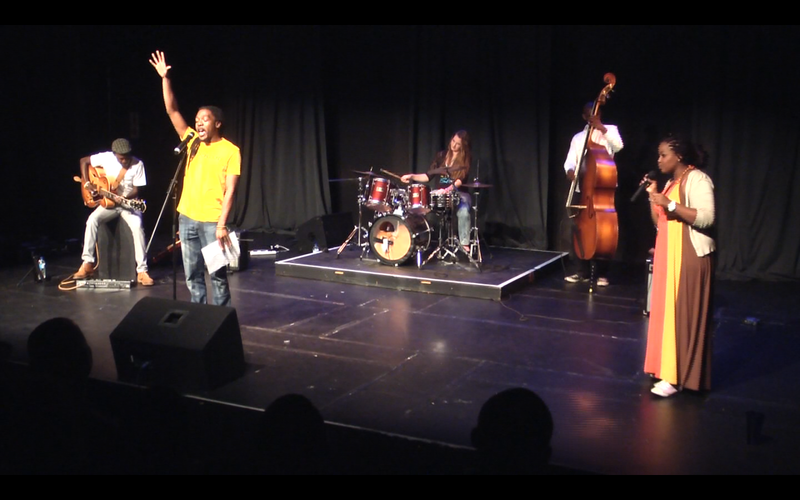 From 28 February to 4 March 2014 in partnership with Word N Sound Poetry Series and British Council Connect ZA, Tongue Fu will be making its debut on African shores with a 3-city tour namely Johannesburg, Stellenbosch and Cape Town. “We are excited about hosting this ground breaking poetry format and look forward to seeing how it will work with a mix of poets from 3 countries including the UK, Australia and South Africa” says Qhakaza Mthembu the Managing Director of the Word N Sound Company. 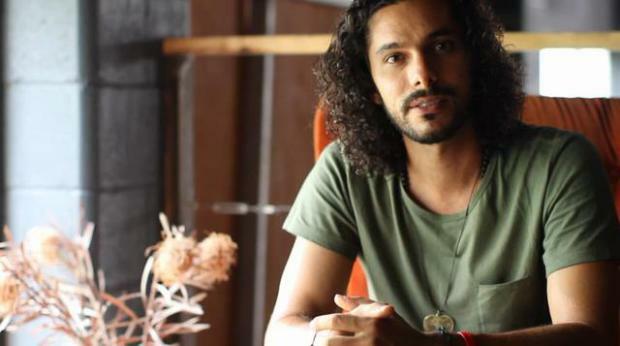 The Tongue Fu South Africa Tour will kick off in Johannesburg on 28 February with an interactive workshop focusing on new literature formats, audience development and the monetization of literature and spoken word. 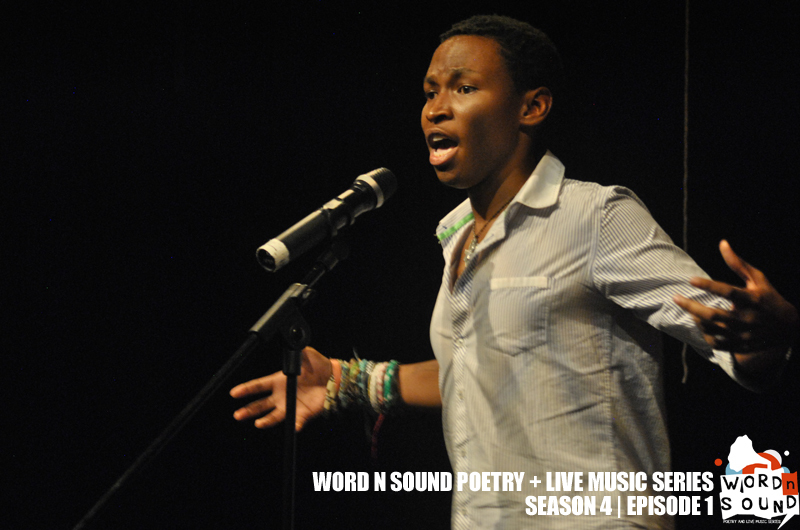 March 1st 2014 will see the first live event take place at the Word N Sound Poetry Series held at the Market Theatre Laboratory in Newtown. Featured poets will include Chris Redmond (UK), Australian Slam Champion Luka Lesson, South African spoken word pioneer Mutle Mothibe; and 2-time Word N Sound Award Nominee Vuyelwa Maluleke. The performers will be supported by Arthur Lea (keyboard), Lerato Lichaba (guitar), Ross Ramsunder (Drums) and Thembinkosi Mavimbela (Double bass). A digital photography exhibition by New York photographer Mike Schreiber will also make its debut at the event. The exhibition will showcase Mike’s most famous works including portraits of legendary Hip Hop artists. Tongue Fu will the move on to Stellenbosch, where it will be hosted in partnership with the Stellenbosch Literary Project and will be held on 2 March, featuring a band comprised of keyboardist Arthur Lea (UK), bassist Joshua Prinsloo; drummer James Lombard; and lead guitarist Craig Victor. The featured poets will include Jitsvinger, Thabiso Nkoana and Khadija Heeger. The Tongue Fu South Africa Tour will end off with a workshop and performance in Cape Town in partnership with Poetica At Open Book Festival curated by Capetonian literary wunderkind Toni Stuart. The event will be held at “Straight, No Chaser” formerly known as Mahogony Room on 4 March from 8pm. Featured Artists will include Shane Cooper, Malika Ndlovu (a regular at international poetry festivals ), Tanneman Gam (Jethrow Louw), Koleka Putuma. The tour is aimed at gaining a wider audience for Tongue Fu while creating collaboration and information sharing opportunities for poets in South Africa and the UK through the workshops and performances. “We have been working with Word N Sound Poetry & Live Music Series (Johannesburg), Poetica at Open Book Festival (Cape Town) and InZync Poetry Organisation (Stellenbosch) to help develop a network of South African based poetry organisations to create a national circuit that can benefit both local and international poets and the Tongue Fu Tour is another exciting example of how we are achieving these aims” continues Tom Porter _ Head Of Arts at the British Council South Africa. Mutle Mothibe is widely acknowledged as one of the pioneering artists of the current generation of South African spoken word. He is a founding member of the group Inaudible which released the acclaimed album “Definition”; as well as Brake Seshions which produced the play “Estar”. In his own right, this multi-faceted author has released the album “In_Sense” and has performed on most major poetry stages in South Africa and has performed in Cardiff, Scotland. 2014 will see his star continue to rise with shows in North-America being planned. Vuyelwa Maluleke is a Johannesburg based playwright, poet and performer. She is one half of the group “Purple Jupiter” with whom she has written and performed such riveting poems as “17 seconds”. To paraphrase Vuyelwa herself, at the core of her work are issues that affect women, and she wishes to use her poetry as a medium to tell their stories. She has twice been a member of the Word N Sound top10, as well as being a two time Word N Sound Award nominee; and her eclectic mix of passion and poise will be sure to captivate her audience. Born Quintin Goliath, Jitsvinger is one of the fastest rising Cape Afrikaans Hip-hop artists. He derives his stage name from Afrikaans and Kaaps. Initially rapping in English he decided on Afrikaans as the language to express himself in terms if music. He released his debut album “Skeletsleutel” in 2006, and has subsequently collaborated with Swiss-based producer Loris Ramondi, and has toured extensively in Holland with the popular theatre production Afrikaaps. Thabiso Nkoana, occassionally known as Little Winter, Smalls or Thabs grew up in Diepkloof, Soweto. He has been writing poetry since high school and started performing at poetry sessions in and around Gauteng; Horror Cafe, Xara Books, Es’kiaMphahlela Library, TsaAfrika, to name but a few. He describes his style as confrontational, uncomplicated and lyrical street poetry. Born in Hanover Park on the Cape Flats, she has a keen interest in history and its’ interpretations through art. With interests ranging from video production, performance to writing, she is a firm believer in the power of words. As an original member of the “And the Word was Woman” ensemble, she’s performed at events that include the Cape Town Festival, Mother City Book Festival and Parliament. Arthur Lea has been hammering honky tonks since his hands could first reach the keys. He sings a retro brand of rhythm n blues, irregular riffs, and southern soul. In and out of London with his own music and other bands, he gigs greatly, writes constantly, promotes events, records, produces, teaches, and generally likes to play. As an integral part of Tongue Fu since 2008, this eclectic musician and improviser provides the soundtrack to the mosaic that is Tongue Fu. Durban born poet Malika Ndlovu is a poet, playwright and arts project manager writer who has performed in stages both local and abroad, going as far afield as Austria, Holland, USA and the Phillipines. She enjoys collaborative work and has been published in a number of local and international journals. Her motto is “healing through creativity” and it is this philosophy that her work seeks to be in line with. Born on the banks of the Leeu_Gamka river in the Karoo, Tanneman Gam is a storyteller; poet, indeginous music improviser, crafter, activist, community worker and tour guide. He composes his work in English, Afrikaans and Afrikaaps (Cape vlats creole). He is a facilitator of workshops, and as a performer often performs with Jitsvinger and is part of the award winning cast of Afrikaaps. Born in P.E., Koleka is Cape-Town based and is a performer and a theatre-maker. She’s a facilitator who shares her skill, hosting writing and dialogue workshops at schools, community projects and interfaith programmes in and around Cape Town. She is a resident poet of Lingua Franca and has some of her work featured on the Badilisha Poetry X-change. Her writing, serves the purpose of questioning the status quo. Mike Schreiber is a self-taught New York Photographer with a degree in anthropology from the University of Connecticut. His work has been featured in Esquire Magazine, Rolling Stone, TACE, VIBE and XXL. He’s also shot ad campaigns for Mountain Dew and AND-1. His work captures variety of subjects with a humanistic approach to life reflected in his mostly black and white gallery. He has had solo shows in New York London, Miami and Atlanta. In South Africa, a country with such a low literacy rate, spoken word encourages curiosity and exposes people to literature in English from a range of cultures around the world. Writing is central to every profession so this is a key skill across all sectors. The Word N Sound platforms bring together older practitioners of literature – elders of 40 years and older – with young people in their teens and early twenties, to encourage and inspire them and to give them a sense of the trajectory of a literary career. Connect ZA is a major new series of cultural exchanges between the UK and South Africa marking 2014 as a celebration of 20 years of democracy in South Africa. From 2013 to 2015, the programme will support cultural connections between young people aged 18-35 in the UK and South Africa with series of arts projects and use digital platforms to build creative networks through live music, film, visual art and design. The British Council creates international opportunities for the people of the UK and other countries and builds trust between them worldwide. We are a Royal Charter charity, established as the UK’s international organisation for educational opportunities and cultural relations. Our 7000 staff in over 100 countries work with thousands of professionals and policy makers and millions of young people every year through English, arts, education and society programmes. We earn over 75% of our annual turnover of nearly £700 million from services which customers pay for, education and development contracts we bid for and from partnerships. A UK Government grant provides the remaining 25%. We match every £1 of core public funding with over £3 earned in pursuit of our charitable purpose. For more information, please visit www.britishcouncil.org. Created (in 2007) and hosted by poet Chris Redmond (Scroobius Pip’s Beatdown XFM; Pick Of The Week – BBC R4), it is one of the UK’s liveliest and largest spoken word shows: a riotous experiment in live literature, music and improvisation. It is a platform in which a spoken word artist of any description, reads or performs their work, with the backing of a live band as they improvise the music to the performance. The band is asked for music to create a certain mood and the style of recital changes the delivery of the poem. This show is completely interactive, and completely unrehearsed which allows for more spontaneity. In summer 2013 Tongue Fu picked up 4 and 5 star reviews for their Edinburgh Festival show at the Gilded Balloon. Tongue Fu hosts a regular packed residency at Rich Mix in Shoreditch and hosts other shows at venues including The Southbank, The Roundhouse, The Royal Albert Hall’s Elgar Room, and the Glastonbury Festival.